There is no doubt about the fact that data loss is the most damaging thing for any Mac user- no matter the amount of data loss. Even a few MBs of your important files, if lost, can be quite the problem. Despite of all the stability that Apple offers in the Mac OS X, it is still not completely secure from data loss. Accidentally deleting your files, resizing partitions, deleted/damaged partitions, damage to physical drives and similar issues can cause significant amount of data to be lost, corrupt or inaccessible. In situations like these, many users panic- but there is no need for that. Mac Data recovery is possible- and can be done in a very easy and affordable way. All you need is the right tool for that. Despite of all the great features that come in the Mac OS X, memory recovery is still not something that it is capable of. One will still need the right tool for Apple Data Recovery- and this is where Recoverit Free comes in. Through this tool, Mac data recovery can be done to recover any deleted, lost, corrupt or formatted file and hard disk partition. Let us now go ahead and see what this software for Apple Data Recovery offers. With over 5,000,000 users, Recoverit Free is one of the most trusted solutions for Apple Data Recovery. It offers users the ability to recover files with greater ease and less hassle. It can be used to recovery lost photos, videos, documents, music, emails and a lot more from the Mac’s hard drive and also any external hard drives and storage devices. All these features come together to show what makes this as the best tool for Mac data recovery . 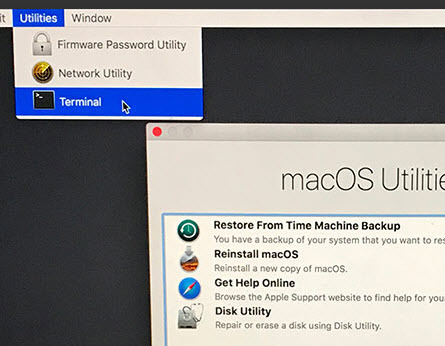 Using this highly versatile and effective Mac recovery software is very easy- and you just have to follow the simple guide ahead. Head over to the Recoverit Free website, and download the setup for the Mac version by clicking on ‘Try it Now’. 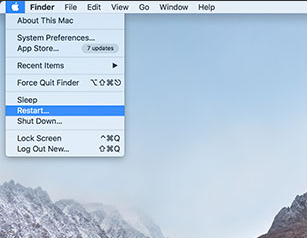 Follow the simple steps as they appear on the screen to install the free version of Recoverit Free for Mac. To recover deleted or lost data on Mac, please select a recover mode first after launching this Mac data recovery. Here you can choose "Deleted Files Recovery" mode to start. 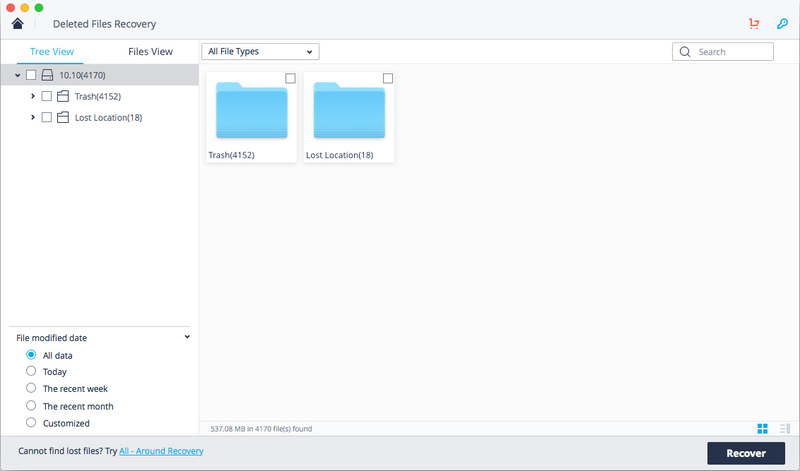 Select the hard disk drive that you lost data, click on "Start" to scan the lost files. Recoverit Mac data recovery will start quick scan, you can preview some recoverable files after the scan. Enter "All-Around Recovery" mode if you can't find the lost data after the quick scan. If you can't find the data during the first scan, it is recommended to try a deep scan by entering the "All-Around Recovery" mode. 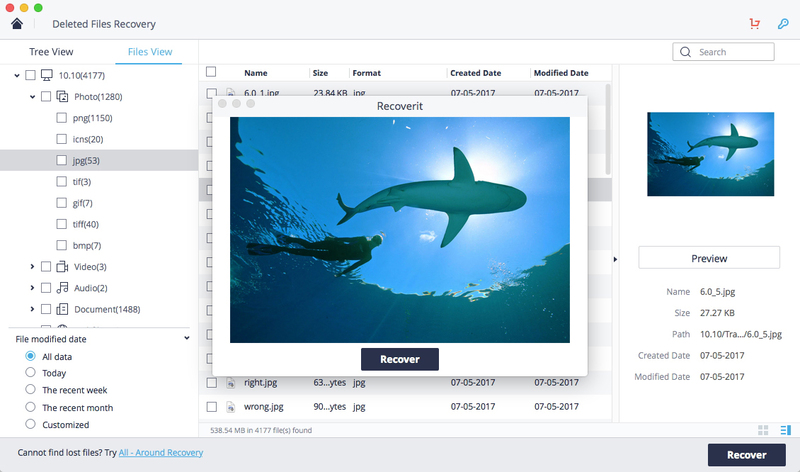 After the scan completed, all recovered files will be shown on the panel, and you can preview the specific recoverable files, then click "Recover" button to get your data back. Do not save/copy the recovered files in the drive they originally were. This makes other data in the hard drive/partition irrecoverable by overwriting it. Before doing Mac Data Recovery, do not write/copy any new data into the disk. This will decrease chances of a successful recovery by overwriting the data. 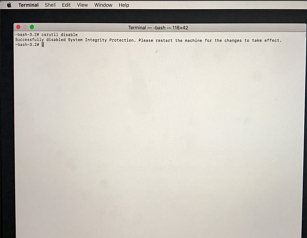 Connect the external hard disk or other device before starting the Apple Data Recovery tool. 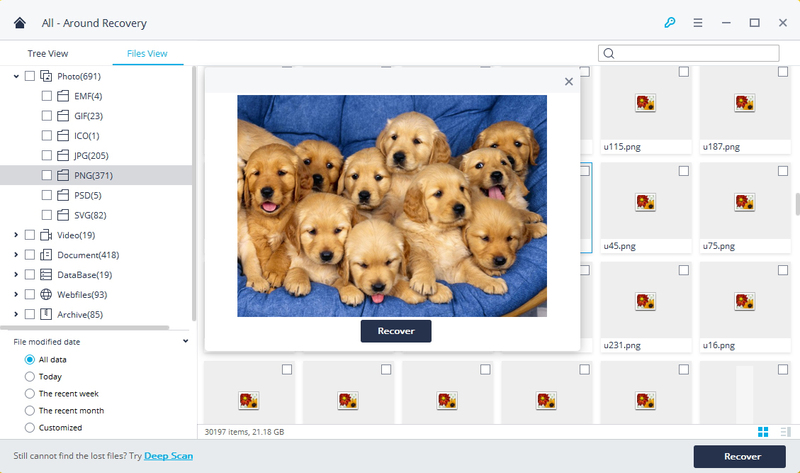 Use Deep Scan feature only if your files have been lost for a long time, or if you are not able to find them in an earlier attempt. This mode will considerably increase the scanning time. Thus, with all of these tips, you now know the best and most efficient way of performing data recovery for Mac. 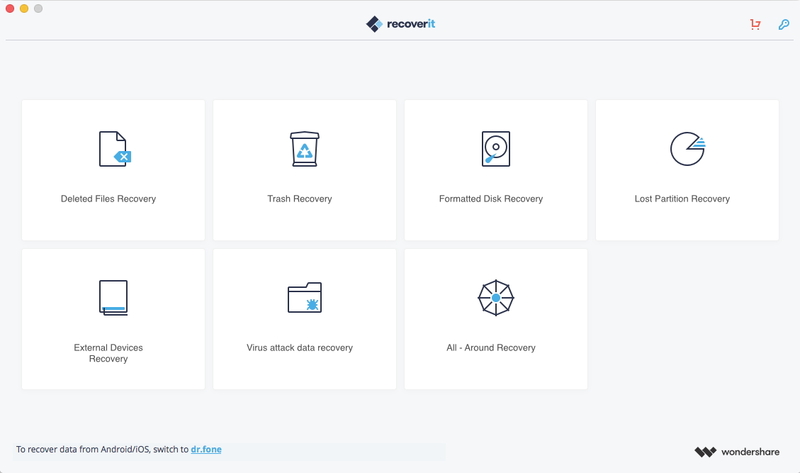 That is not all- the same highly effective and trusted data recovery software is available for Windows as well- and the steps to use Recoverit Free are pretty much the same. 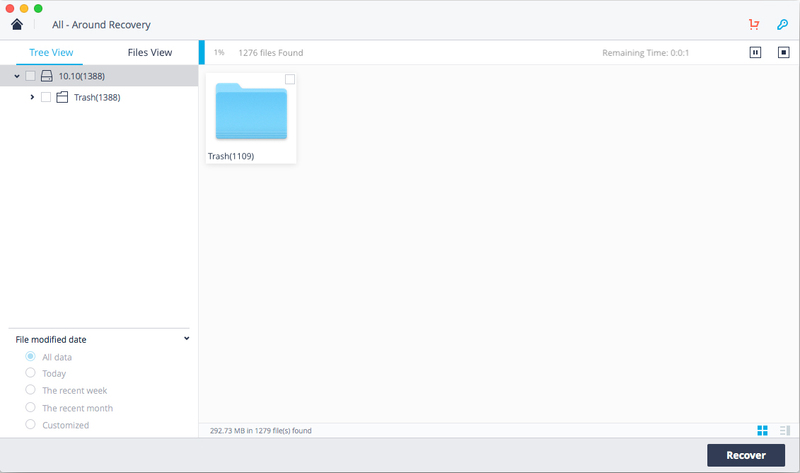 No matter what platform or device you may be on- Recoverit Free has all your files protected and safe from any harm!